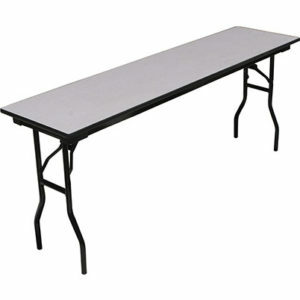 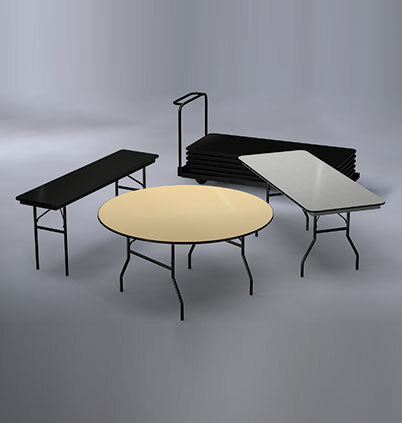 PS Furniture’s Classic Series™ Lightweight ABS Plastic Folding Tables are designed for ease of movement, stacking and storage, along with great looks. 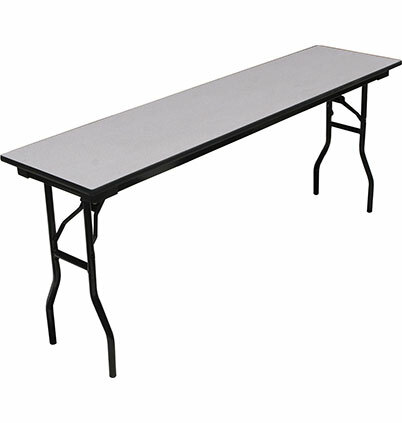 Classic Series™ ABS Tables features a skeletal 3/4” solid plywood frame that delivers remarkable strength in a lightweight form. 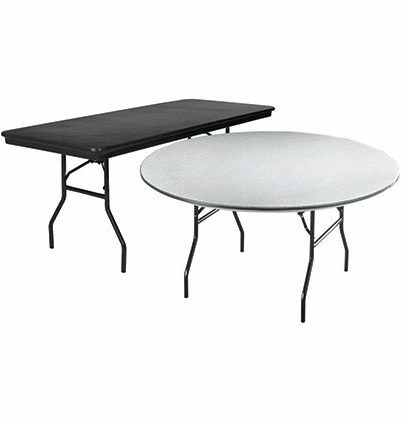 This sturdy frame is then surrounded by an attractive and durable ABS skin. 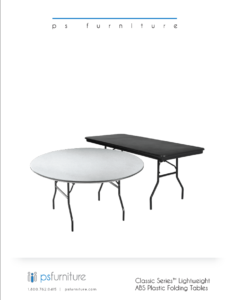 Good looks and light weight make the Classic Series™ ABS Table suitable for all occasions. 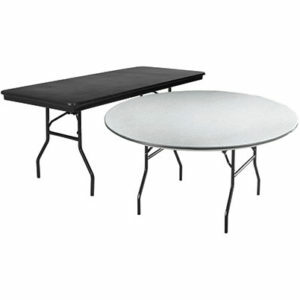 Choose PS Furniture’s Classic Series tables for a lightweight and attractive folding table that will last for years. Reinforced edges for added protection. 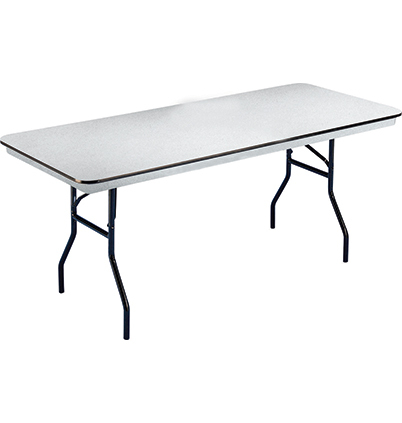 Incredibly secure and maintenance-free bolt-fastened folding legs. 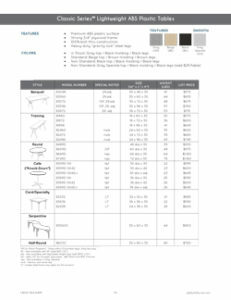 Heavy-duty “gravity lock” steel legs.